Looking for a jazz-inspired performance this spring? Look no further than Lady Day at Emerson’s Bar and Grill, a biographical play-set-to-music that will transform the Topfer Theatre into a nightclub with an on-stage bar including VIP cabaret table seating April 5 – April 30, 2017. Lady Day at Emerson’s Bar and Grill plays on stage and is directed by Michael Rader and stars Chanel (A Christmas Carol and Sophisticated Ladies) as the infamous songstress herself as the role of Billie Holiday. It’s a period production that feels very current. The time is 1959. The place is a seedy bar in Philadelphia.The audience is about to witness one of Billie Holiday's last performances, given four months before her death. 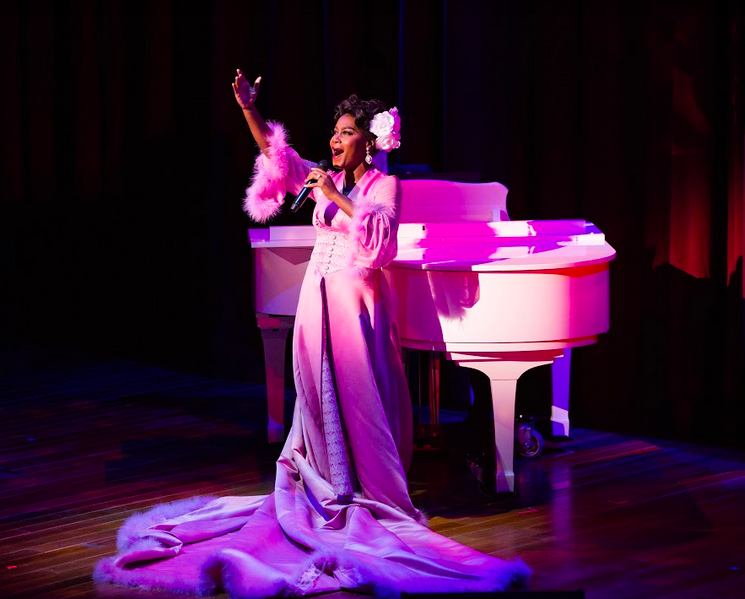 More than a dozen musical numbers are interlaced with salty, often humorous, reminiscences to project a riveting portrait of the lady and her music. Pull up a chair, order a delicious cocktail, and turn back the hands of time in our swanky nightclub for an intimate evening with the jazz legend. “God Bless the Child”, “Don’t Explain,” and “My Man” are among the unforgettable hits you will savor from the lady who sings the blues. She’s got a life to sing.